What about the manufacturer? 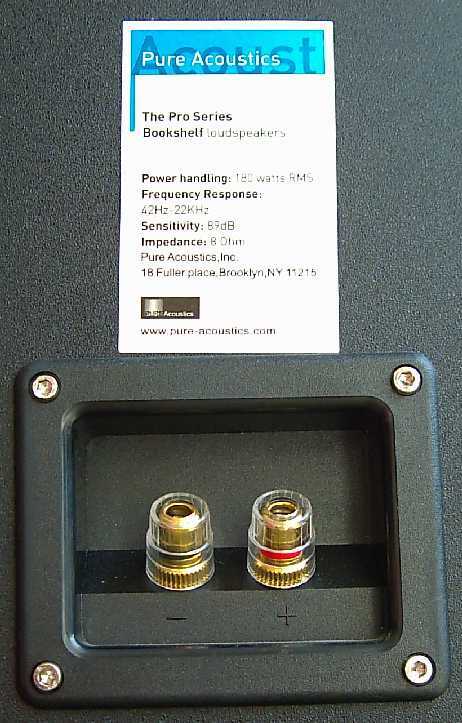 Pure Acoustics is a US brand (Brooklyn, NY) though the speakers are made in China under their specs. Their catalogue offers many models and even several complete HT systems. Every model aims at the budget-conscious niche of the market. 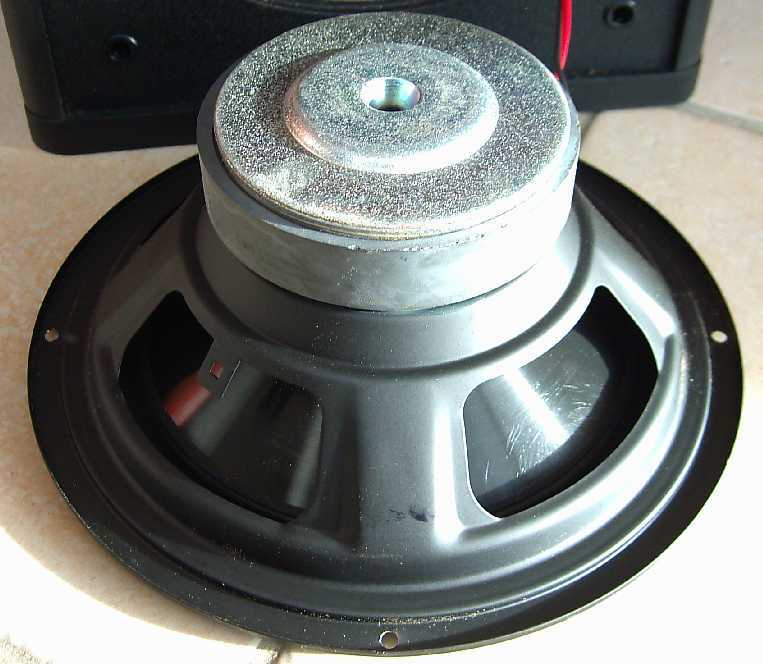 The first time I met these speakers was in the 2005, almost 7 years ago!, while reviewing the US Blaster USB-4011, a pair of inexpensive floorstanding loudspeakers. The US Blaster catalogue included a very interesting bookshelf loudspeaker (the USB-4014), equipped with a 8" woofer and a price too low to be true. I immediately asked for a test sample. Before I could write down the review the distribution of the US Blaster speakers evaporated and I carefully avoided to publish a (rather postive) article about a product which was no longer available. Nevertheless, I couldn't keep the good news for me so I started telling friends and forum mates about this little gem. Slowly, several audiophiles got interested in these speakers until they became available again, branded as Pure Acoustics and distributed in Europe by Pure Sound Spain. Suddenly, the Italian mag AV Magazine reviewed (Feb, 2011) a pair of these PRO838, with rather positive results, especially in terms of quality/price ratio. I decided time was come to recover my old article and publish it here on TNT-Audio. After so many years opinions might change, that's why I asked the new distributor for a new pair of PRO838! And here they are. The Pure Acoustics PRO838's are quite large bookshelf/standmount loudspeakers (41 x 25.5 x 30) which look like speakers used to be 30 or 40 years ago. It is a very simple two-way reflex design which makes use of a 1" silk tweeter and a large 8.3" (21 cm) polyproplylene woofer. The bass reflex port is located in the rear. To avoid children hiding funny objects inside the cabinet, the reflex port has a protective grid inside. The same kind of clever protection has been installed on the tweeter: a metallic grid which is 100% child- and pet-proof. The binding posts (monowiring only!) accept every kind of cable termination, even bare wires of decent size. There are two available finishes: satin black and light cherry. The MDF cabinet appears to be decently built, given the price range (sub-200 €), though it is not 100% resonance-free. 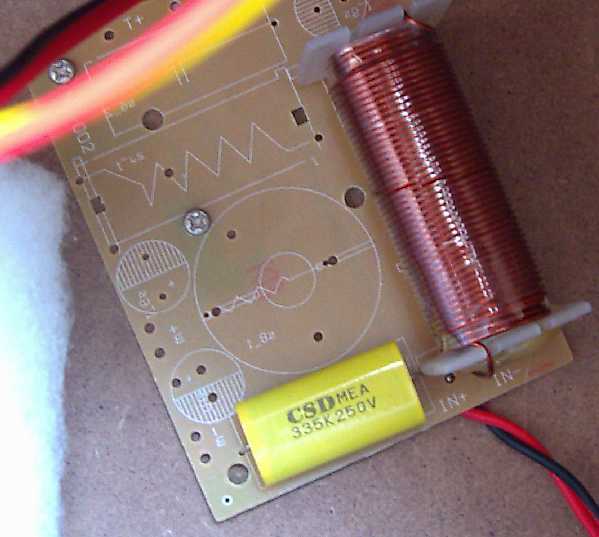 The croosover network is extremely simple: just a coil and a cap! Inside the cabinet you can find just a small acoustic foam sheet while internal wires are the usual figure-8 bipolar cables of acceptable size. The technical specs aren't detailed as they should but, at least, don't seem too optimistic. Frequency response is claimed to be extended till 42 Hz (which is absolutely realistic, as we'll see in a moment) while sensitivity isclaimed to be 89 dB/w/m. From a quick comparison with similarly sensitive loudspeakers I'd say also this datum is correct. Polypropylene 8.3" woofer, a rare beast on modern bookshelf loudspeakers! Purchasing these speakers isn't difficult. In Europe, you can refer to the Spanish distributor (they speak English, yes). They are extremely friendly, helpful and passionate. You can contact them on info@puresoundspain.com or puresoundspain@hotmail.com (MSN) or even via Skype (puresoundspain.com). Otherwise please refer to the official Company website and their list of worldwide distributors. Eventually, the very same speakers seem still available under the old brand US-Blaster, model USB 4014 (the link takes you to the US-Blaster website). US-Blaster might use different distributors, though. Street price should be below the 200 € tag. 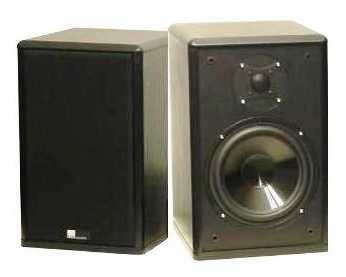 I've compared it to the Dynavoice DM5's I tested last week, a pair of similarly priced bookshelf loudspeakers. While the Dynavoice DM-5's were a bit inoffensive, these Pure Acoustics PRO838 won't leave you indifferent: it's either a hate 'em or love 'em game. Their tonal balance is of the loudness kind, with bass and highs slightly above the mid range. That's the way they were meant to be. Hence, while this attitude might confuse (and even disgust) expert audiophiles, I'm sure will give goose bumps to neophytes and youngsters. For this kind of listeners it is difficult to accept the neutral (and sometimes lifeless) sound of audiophile loudspeakers where everything seems too perfect to be true. These speakers, with rock and pop music are extremely entertaining, lively, explosive and punchy. And no, they DO NOT sound boom-boom tizz-tizz like cheap car stereos. Thir sound is full-bodied but doesn't lack a certain coherence. Bass, double-bass, drums, as well as cymbals, electric guitars and synths greatly benefit from this kind of balance. The bass range is strong but it is NOT the kind of boomy bass you can get from small sats + sub combos or from small bookshelves that try to sound bigger than they really are. No, the 8" woofers really MOVE lots of air, making the bass range powerful and rather physical. The frequency response is claimed to reach 42 Hz (at -3dB, I suppose) and this datum seems fundamentally correct. Indeed, a direct comparison with the Dynavoice DM5, claimed to reach 40 Hz, proves the PRO838 have better extension and much more punch, as well. This shouldn't come as a surprise, since it is logical that a 21 cm woofer, inside a bigger enclosure, performs better than a 14 cm unit inside a smaller cabinet. Summarizing, if you love bass, provided you shouldn't expect 30 Hz flat, you're going to love these speakers. Their bass range is powerful, articulated, fast and punchy. The kind of bass you expect from a 8" woofer! The high range, as said, is crisp and vivid, giving the speaker a quite open and bright character. It never gets shouty or harsh but with certain (bright) recordings you might feel it's too much of a good thing...and start feeling a certain lack of presence in the mid range. I still remember that years ago I compared them head to head against a pair of Thiel CS 1.2's (go figure,a kind of LS3/5A with bass :-))). Definitely, it was a shocking experience...after a listening session with the PRO838 the CS 1.2's seemed boxy and dark...aaah, that loudness effect! Try listening to an amplifier with the loudness switched on, then switch it off: the sound will appear lifeless, thin and shut-in. I know, in the long run, a loudness-oriented tonal balance might sound fatiguing, especially at high listening levels, but still the comparison with the Thiel CS 1.2's wasn't so unbearable as I initially expected. It was a BIG surprise, I admit. This is meaningful, to say the least. Actually these PRO838's were, and still are, stunning speakers. What about vocals, then? Well, female voices are a bit affected by the extra brightness but, this notwithstanding, they always sound clean and precise. Even with big choirs it is very easy to detect and follow single vocal parts. From time to time, you might detect an excess of sibilants, depending on the recording, the listening room and the rest of the audio chain. The same excess might be detected on cymbals as well. Perhaps a small resistor on the tweeter might help cure this attitude. When compared directly with the Norh 4.0's and the Dynavoice DM5's, these PRO838 appear as complementary, in some sense. Warm, sweet and relaxed the first two, lively and brilliant the PRO838's. Overall, I'd define these speakers as entertaining. A listening session with these can't become boring. The good sensitivity of these speakers, together with their lively character, makes every listening session a real pleasure: dynamic variations, especially in the bass range, are handled with authority and good control. PRaT is very good, also. Don't be afraid to make 'em reproduce difficult and highly energetic tracks: they can handle high power (claimed datum: 180 watt RMS, perhaps optimistic, I'd rather say peak) thanks to a woofer that doesn't reach its limits easily. For sure, no matter how hard I tried, I've never been able to make it reach its max excursion. Oh yes, one could ask for a better dynamic performance in the midrange but, especially with modern music (pop, rock, etc.) this is absolutely bearable. While the Dynavoice DM5's were smooth and relaxed, these PRO838's seem to play always in full attack mode :-) Their sound hits the listener! Certainly these are not speakers good for relaxing listening session. While trying to push them to their limits I've also played the Rage against the machine first album, a real mine field for speakers and amplifiers. And WOW! Do these speakers rock! Energy in spades, impact, sheer violence and punch...everything you might need for this kind of music is just there. Attack (rise) time of musical transients is EXTREMELY good, I'd say better, much better than the price tag might suggest. Even in the microdynamics department perfomance is very good, thanks to a tweeter whch is bright without being harsh. Chapeau! As said, the tonal balance has a slight boost in the bass and high range. 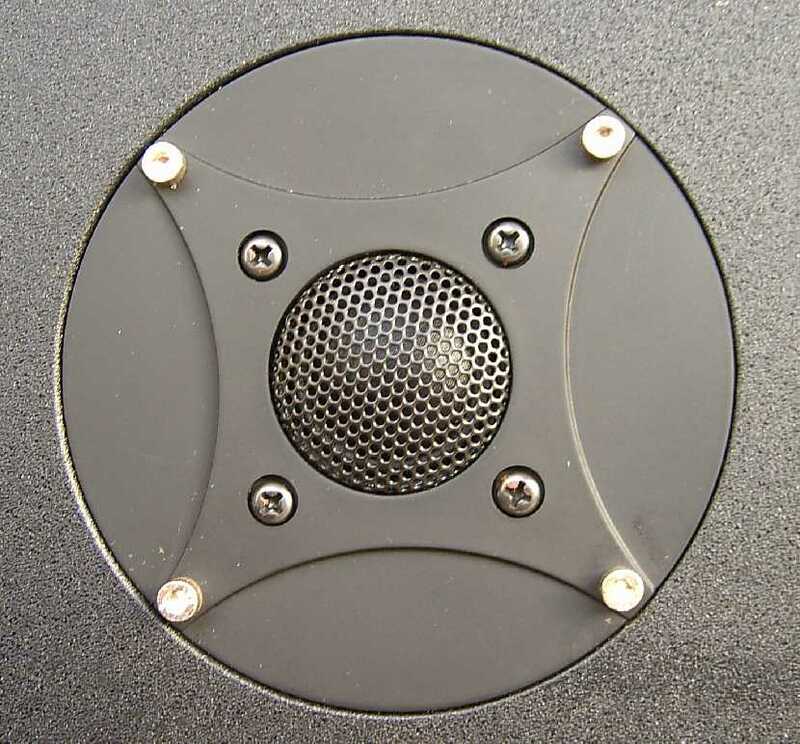 This, somehow, influences the soundstage these speakers can create: female voices appear nearer than they should be, while male ones remain slightly behind. There's a good sense of depth, perhaps because the mid range is slightly recessed. This notwithstanding I'd rate the soundstage as very realistic, especially considering size and price tag of these speakers. The cabinet, being quite large and not 100% resonance-free, doesn't help making the speakers disappear inside the 3D soundstage. You can always feel where the speakers are, there in front of you. Anyway, they disappear better than the Dynavoice DM5's, for example. The focus of the image, thanks to the precise tweeter, is very good. I've not noticed 3D image fluctuations. Perhaps things can even be definitely improved by making the cabinet less prone to resonate (room for tweaking, here!). Generally, the soundstaging performance of the speakers goes far beyond my best expectations, perhaps the simple crossover network helps here, but my sensation is that the drivers - both the woofer and the tweeter - can deliver unusually good performance for the price. The tweeter, despite being a tad bright, doesn't spit everything in your face as one might expect. Quite surprisingly, you can even detect several different horizontal planes (in front of/behind the speakers line). Perhaps the depth and the good presence of the bass range plays a role here. It is well known that adding a good subwoofer improves image depth. The height of the virtual scene could be bettered, perhaps with some tweaking performed on the crossover (better coil and cap) and on the cabinet. Finally, do NOT forget I'm writing about a speaker that offers so many good things for so little money...hence even if 3D performance isn't perfect one can't complain too seriously. In any case, even a novice can learn what 3D image is thanks to these speakers. And no, they don't image well like the Norh 4.0, but the comparison isn't embarassing. And they do image better than the Dynavoice DM-5's. These speakers need some break-in, so to help the tweeter to smoothen its performance a little bit. The owner's manual suggests 15 hours, I'd suggest at least twice as much. The loudness attitude would suggest mostly neutral partners, so to avoid an excess of bass and highs. Moreover, I'd choose smooth and generally warm ancillaries in order to avoid any excess of brightness. For example, I'd prefer NAD amps and sources instead of Rotel, just to name two popular brands. Small Class D amplifiers (10 watt per channel) can be used too even if sensitivity might not be adequate for large rooms. Mid-sized rooms and/or more powerful amps could be a better option. These speakers should be installed on stands that bring the tweeter at listener's ear level (when seated) and I'd suggest trying some amount of toe-in (tilt the speakers towards the listener): in this way tweeters presence can be a bit mitigated. The strong bass and midbass range certainly don't need any extra boost so please keep the speakers far from the rear wall! Finally, inspect the screws of the drivers: chances are they might need to be tighten up a little bit. There's a lot of room for tweaking: cabinet (internal bracing, acoustic foam etc. ), crossover (new components and, possibly, an attenuation resistor on the tweeter) and better internal wiring. These are three inexpensive tweaks that can bring the performance of these speakers up to another level. Speaker cables binding posts are too close one to the other and they don't seem reliable. If slightly overtightened they tend to rotate, a strange behaviour I've never encountered on a loudspeaker, no matter how inexpensive. Biwiring is not available (for me, this is a plus sign on my notes, though :-)). The cabinet isn't exactly resonance-free. The similarly sized and priced Dynavoice DM-5's were better in this area. Sound. The tonal balance is of the loudness kind. This is quite normal for an inexpensive speaker so I'd say this is not a real complaint: the designer made a choice, thinking at the typical customer of this product. Yes, the bass and the highs are above the mid range but, trust me, this is not so disturbing as one might expect because the speakers are transparent, precise and clean sounding. No traces of the typical boomy sound, and even listening fatigue isn't a real problem, unless your system is already bright, your listening room is mostly empty and/or you prefer extremely high listening levels. 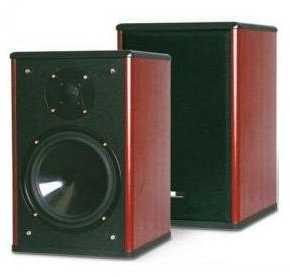 Perhaps I'm a nostalgic audiophile who reminds my early years when bookshelf speakers used REAL woofers, perhaps these PRO838 remind me my old pair of Linn Index Plus speakers (equipped with a 8" woofer as well)...but I love the way these speakers sound. They are generous, solid and light years far from the usual perfect (read: sterile) sound of many audiophile bookshelves! Yes, I'm happy to know there exists a REAL bookshelf speaker, with a REAL woofer and capable of real bass: first-timers are going to love it! Oh yes, they're far from being perfect, but they sound big and precise, clean and punchy, always, I mean, always entertaining and highly emotionally involving. If you're in the market for some real stuff, for a speaker that can really rock without sounding boomy or harsh, give these babies a chance. Perhaps they'll surprise you the way they are still surprising me, after all these years! I can hear you asking about their quality/price ratio...Well, it's...stellar! And their fun factor? Simple irresistible! They'll put similarly priced small speakers to shame.